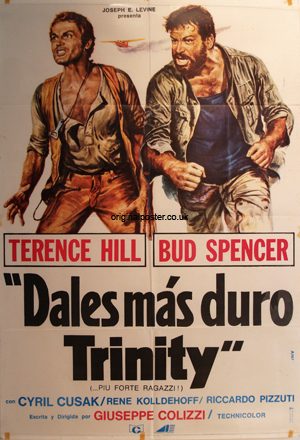 Size 43 x 29 inch Argentinian one-sheet. Details Renato Casaro always has fun painting Terence Hill and Bud Spencer. This time he has them ready for action complete with clenched fists and handy bottle openner ready for action.